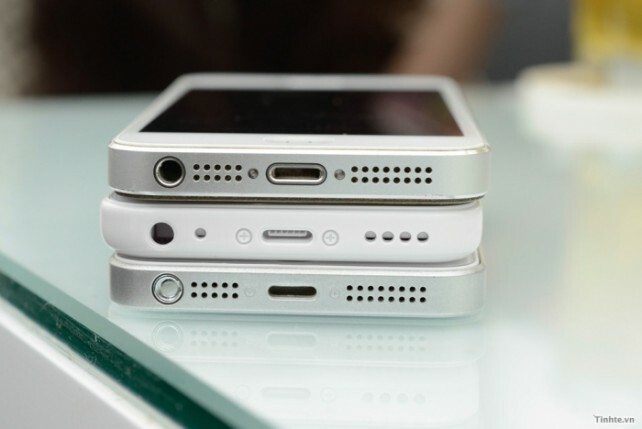 Home » Technology » Apple iPhone 5S or 5C: Which one is best for you? – A Simple Review. Apple iPhone 5S or 5C: Which one is best for you? – A Simple Review. Every year in the month of September, Apple launches a new version of the iPhone. And every year, it is pretty clear which one consumers should go for if they want the latest from Apple. However, this year, Apple decided to shake it up a bit and released not one, but two iPhones into the market, adding that one factor that consumers always dread: choice. So, let’s go through what these phones have to offer and find out which is better for you. This is where the most eye-catching difference lies between the two iPhones. The 5S carries over the design of the 5 and offers a two-tone colour scheme with the phone coming in silver, gold, and gray colours. The 5C, on the other hand, breaks iPhone tradition and goes the Lumia route. The 5C now comes in green, pink, blue, yellow, and white colours, offering users a colourful take on the iPhone. The differences don’t stop here either as the materials used to construct the two phones are worlds apart. The 5S uses the same materials as the 5 and is constructed using aluminum whereas the 5C’s colourful hues are constructed using polycarbonate plastics. The 5C is thicker and heavier as well coming with a thickness of 8.9mm and a weight of 132g while the 5S is only 7.6mm thick and weighs only 112g. These may seem very miniscule but it changes how the phone feels in the hand when used. Both the phones come with a 4-inch IPS LCD display with a resolution of 1136×640 or 326 ppi. So, whether you go for the 5S or 5C, Apple has guaranteed that your visual experience is not compromised. Both phones get Apple’s high resolution Retina Displays and although the ppi count isn’t a high as other phones, users can rest assured that they’ll receive a top-notch visual experience. The reason for these two to be in the same category is that Apple’s operating system is closely tied to the processing power the iPhone possesses. As such, both phones will be running iOS 7 but it is the processor that decides how well it will run on the phone. The 5C has been given the older Apple A6 processor while the 5S will be sporting the new, 64-bit Apple A7 processor as well as the M7 motion coprocessor. With the new iOS 7 being designed to fully take advantage of the new hardware in the iPhone 5S, some features may not make it into 5C. However, these features are specific only to the 5S and consumers going for the 5C will get the full experience of the new OS. The iPhones have generally been known to not offer expandable memory but at the same time offer enough memory that there is no need for one. This continues with both the 5S and 5C as both come in 16 and 32 GB variants. The 5S, however, offers a third variant in the form of a 64 GB version as well. So, for users who want to store almost every facet of their lives on their iPhone, the 64 GB version is for you. However, when deciding between the lower variants, it all comes down to consumer choice. Apple also introduced a new technology into their phones in the form of the fingerprint scanner known as the Touch ID. This new tech introduces a new method of securing the device without having to remember various passwords. Only the 5S, being the flagship device, receives this new tech and with it some added features to the operating system. iPhones are general known for providing decent battery life to its users and this will surely continue with the new iPhones as well. The 5C comes with a 1507mAh battery while the 5S comes with a slightly larger 1570mAh battery. The 5S, however, is better equipped to increase its battery life as the main processor outsources some of the tasks to the coprocessor, thereby using less power and lasting longer. The 5C, on the other hand, will offer acceptable battery life, even without the new co-processor. Both the Iphone 5S and Iphone 5C come with an 8MP rear and 1.2MP front cameras. The rear camera is capable of 1080p recording while the front can record at 720p and both cameras on both phones come with BSI. With regard to the rear camera, the devil is in the details. The camera on the 5C has an aperture of F/2.4 while the 5S comes with an aperture of F/2.2. While the difference in apertures may only be very slight, having a aperture that is low ensures better low light photos. The price will be the key deciding factor for consumers when the time comes to buy one of the two phones. Both phones command a premium price from the consumers but there is enough of a price difference between the two to make it harder to choose. The 16 GB iPhone 5S will come in at $650 while the 16 GB 5C is $100 less at $549. Those looking to foray into the world of Apple and iPhone may go for the 5C while those with the extra cash lying around may just go ahead and get the 5S. This iphone is really awesome. I am often to blogging and i really admire your content. The article has really peaks my interest. I am going to bookmark your website and keep checking for new information. I really like this iphone.I am often to blogging and i really admire your content. The article has really peaks my interest. I am going to bookmark your website and keep checking for new information. Glad you like this post. Thanks for bookmarking my post. Keep on reading. I think 5s is much better than 5c.